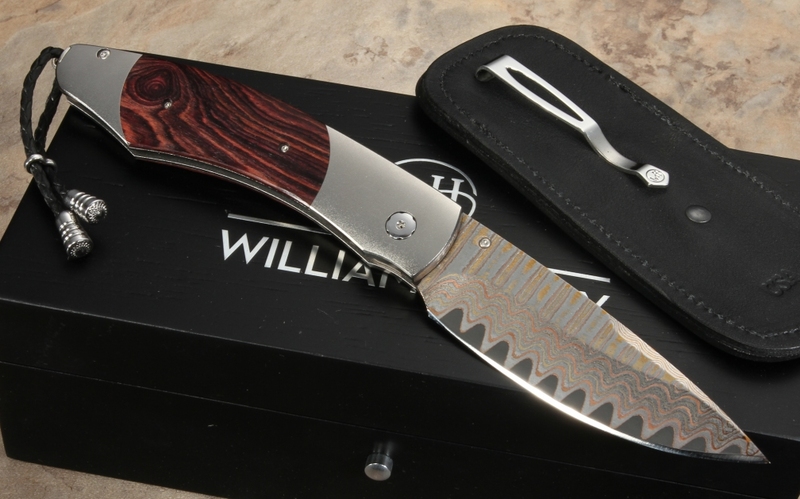 Aptly named the Kingwood, this William henry pocket knife has really nice premium kingwood handles and copper wave pattern damascus steel blade. You can really enjoy the precision of this cutting tool from the light weight, strength and smooth opening. The blade has a cutting edge of VG-5 steel. 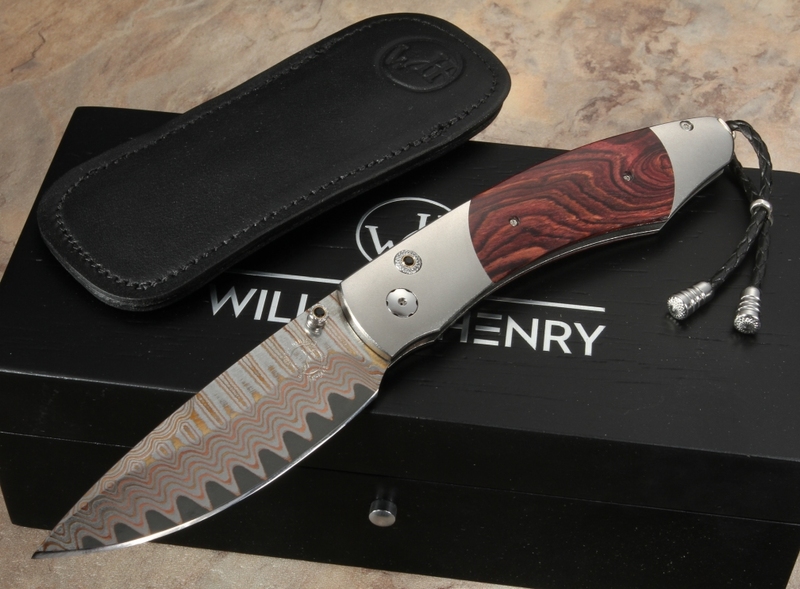 This B12 Kingwood model is a limited edition of only 75 individually numbered knives. The thumb stud and button lock release is inlaid with spinel gemstones. 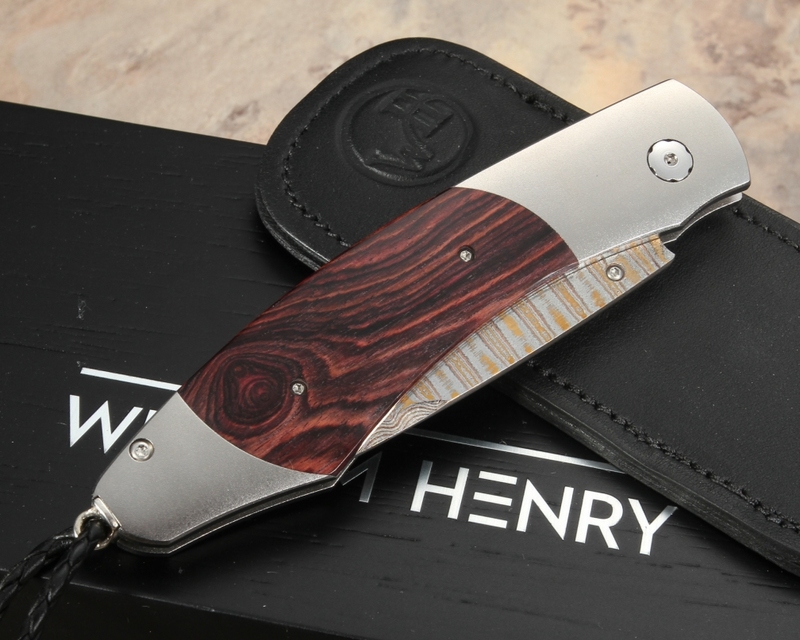 The folding knife comes with a sterling silver bail and stainless steel beads connected by a black leather lanyard. The B12 Palm Island comes with a nice black leather clip case for easy pocket carry. This William Henry knife comes with a dark wood presentation box and certificate.